This may be a problem for others with the same computer because it is an out-of-the-box issue. 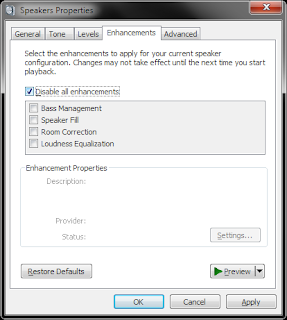 After a complete system restore back to factory condition, there was still no stereo separation from the speakers and headphones. That's because when the system boots for the first time, it leaves one critical setting unmarked. On your system tray, right click on the speaker icon. Double click Speakers and Dual Headphones. 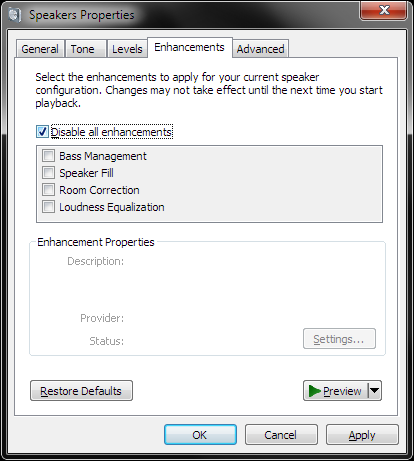 And make sure that "Disable all enhancements" is clicked.